Beaune, Pommard, Savigny-les-Beaune, Chateauneuf, Eguilly, Lac de Pont, Semur-en-Auxois, Flavigny, Gevrey-Chambertin, Chambolle-Musigny, and more! 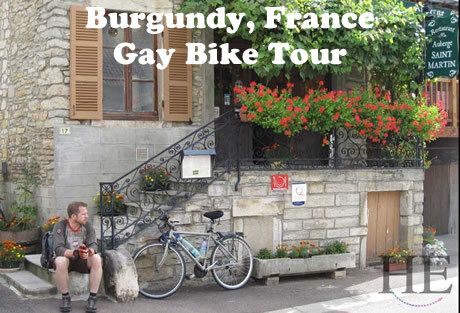 A Gay Travel France Bicycle Adventure. Cycle through hills and villages rich in history, redolent with the scents of forest and vineyard. 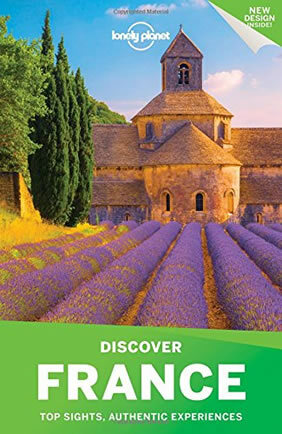 Visit Chateauneuf, Roman ruins, medieval towns, and important sites in Catholicism. Burgundy is famed for its food and wine, so dining and wine-tasting will be as much fun as the biking! Few regions in the world offer such a diversity of natural scenery, fine cuisine, and history as does the ancient kingdom of Burgundy. Join a small, friendly gay bike tour group and pedal through an historic area. We begin in Beaune, a town dating back to the Caesars. Here, under the arched stone ceiling of a long cellar, sample some of Burgundy's world-famous wines. The next day, we bike through vineyards to the wine village of Pommard and an unexpected stop: a stone dolmen(dwelling) dating from the dawn of history, on an out-of-the-way road. Burgundy is filled with such reminders of its long past, many of which don't appear in guidebooks. Finding such spots is part of what makes this trip an adventure. In the afternoon, we bike out of a forest to see another historic sight ahead: the feudal castle at Chateauneuf, rising among the cow-filled pastures. Another day's biking brings us to the fortified town of Semur-en-Auxois. Perched high on a bend in the Armancon river, this medieval site seems frozen in time. Inside the town walls, cobblestone streets are still lined with tiny bakeries and butcher shops. Burgundy is synonymous with fine red wine, but this evening, as an orange sun sets over the valley, we'll sit outdoors to sample the white wines of the region as well. And so the week continues, an invigorating mix of quiet biking roads, villages lost in history, time-outs for hiking and skinny-dipping, encounters with the people of Burgundy, and of course, the food and wine for which Burgundy is known. Burgundy would be magical under any circumstances. As you'll discover, the magic is even greater in the company of a lively gay group. • Roam Beaune's sprawling Hotel Dieu, a masterpiece of Flemish architecture and the site of a world-famous wine auction. • Follow a quiet, tree-lined trail alongside the locks and barges of the Burgundy Canal. 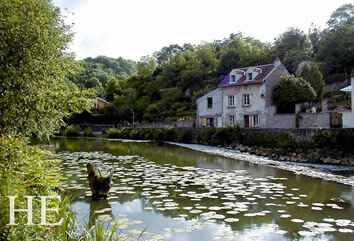 • Step over the Seine River, near its source in the heart of the Bourgognian forest. 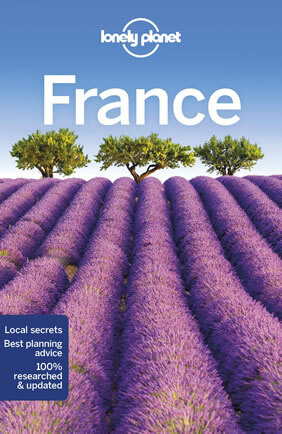 • Discover the gastronomic delights of a region known for its cheeses, wines, sausages, wild mushrooms, and creative chefs. 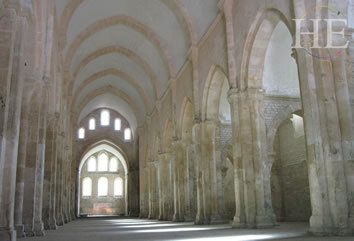 • Visit the haunting ruins of the 13th-century Abbey of Ste. Marguerite, and the beautifully restored grounds of the abbeys at Fontenay and Bussiere. • Pedal through a quiet village, onto a solitary forest road, then emerge from the trees to see the feudal castle of Chateauneuf looming ahead beyond the pastures. 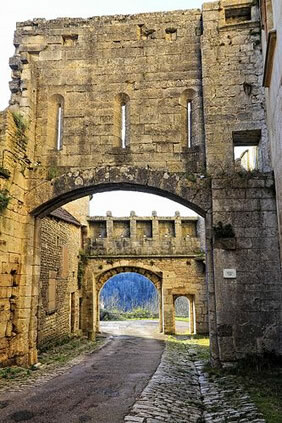 • Explore the old streets of medieval Semur-en-Auxois, perched high over a loop on the Armancon river. Join other gay cyclists to travel through a land rich in history, redolent with the scent of forest and vineyards. This biking tour of Burgundy takes us to the feudal castle of Chateauneuf, in an ancient walled town. We'll visit a seven-century-old abbey long reduced to solitary ruins, and an even older abbey that was recently restored to its former grandeur. Everywhere, we encounter Burgundy's long history. Julius Caesar established a settlement here, and as we travel we'll find ruins from Roman times. Then, as an independent kingdom, Burgundy developed its own distinct culture, and became a thriving center of the wine trade. Wine tasting is as popular as biking here, and we'll get to do both. This is primarily a biking tour, on a route with plenty of hills, but with many other activities available in between our bike rides. There's time for hiking, swimming, walking tours along streets that date to the Middle Ages, and, of course, some leisurely and memorable dinners. Burgundy has won fame for both its food and wine, and from the flavorful coq au vin to your well-earned dessert, dinner will be as much fun as the biking. We hope you can join us as we admire The Colors of Burgundy. Beaune, settled since Roman times, grew rapidly in the Middle Ages when wine merchants built their cellars here. Much of the ramparts wall that protected the medieval town still stands; our afternoon walk for cyclists who arrive early takes us along part of that sturdy wall, which averages 25-30 feet in thickness. On our walk we'll tour the grand Collegiale Notre Dame, a church in classic Burgundian Romanesque style dating to 1120, as well as a wine cellar that dates back five centuries, where we can sample the wares. Discover the nuanced flavors that have made Burgundy synonymous with fine wine: Aloxe-Corton, Gevrey-Chambertin, Chambolle-Musigny, Clos de Vougeot, Vosne-Romanee, Nuits-Saint-Georges, and Cote de Beaune. Candles allow the connoisseur to evaluate the clarity and ruby hue of each vintage during the wine tasting. Back at our hotel, we'll assemble the full group for refreshments and orientation, followed by dinner in a centuries-old dining room. There's no gay bar in town for after-dinner entertainment, but one benefit of traveling with our groups is that you can always find someone friendly and interesting to join you at a cafe. This morning's varied route offers a sense of what's to come. Our first village is Pommard, a tiny and picturesque village with a growing reputation for fine red wines. Just outside Pommard, in the middle of nowhere, we come upon two artifacts from Roman times: A small bridge built by the Romans; and a nearby dolmen, or primitive dwelling. Duck low and you can go down into this dolmen. Neither of these appears in the usual tourist guides; they're examples of the unexpected sights that we like to search out for our trips. We leave the vineyards and cross into Savigny-les-Beaune, with its moated castle. Now you've got a choice: stay on the scenic paved road, or try our more challenging option: an unpaved hiking trail, cutting over a hillside forest to our next stop: the ruins of the Abbey of St. Marguerite. We search for the true back roads in the regions we visit. After lunch, you'll discover one of our favorites. If weather conditions allow, we can ignore a "dead-end" sign to glide onto a narrow ribbon of asphalt, winding through orchards, pastures and forest. You probably won't see a single car along this stretch — that's one benefit of knowing when to ignore a dead-end sign! Whether coming down a long slope on the road or from the hiking path, the road ends at the Burgundy Canal, once a vital commercial link, but now plied by pleasure barges. Stop to watch a barge as it's lowered through a lock. Another rural road takes us through a forest and over a hillock. As you emerge from the trees, the feudal town of Chateauneuf appears in the distance like an apparition, rising out of the pastures. By the time you've climbed into this tiny and ancient village, you'll have decided that a 40-mile day wasn't so short after all. Our guess is that you'll rank this as one of the best biking days of your life. And you can top it off by wandering through the chateau itself, right outside the doors of our hotel. Today begins with a long, gentle coast from Chateauneuf's hilltop castle to the Burgundy Canal. From there the route follows miles (well, kilometers) of small paved roads, with almost no traffic. We ride past endless fields of poppies and wheat, and through small towns such as St. Sabine, Chazilly, and Cercy, each with its own church and its own charm. On a sunny day, we also have another option: follow the unpaved towpath along the canal. Our hybrid bikes usually have no problem with the occasional patches of gravel, and the pastoral setting brings images of a bygone era. Finally the canal disappears underground, a remarkable feat of 19th-century engineering, and we return to the rural roads. But first we detour to the tiny village of Eguilly, where an energetic Frenchman is devoting his life to renovating the once-grand castle. After a picnic lunch at the castle, our road skirts rolling fields and honey-colored farmhouses. Eventually we reach the shorelines of Lac de Pont, a narrow, meandering lake over 3 miles long, but rarely more than a few hundred yards wide. Ready to cool off? A small footpath along this sparkling, tree-lined lake takes you to a secluded swimming spot (yes, some of the gang decided swimsuits were optional). 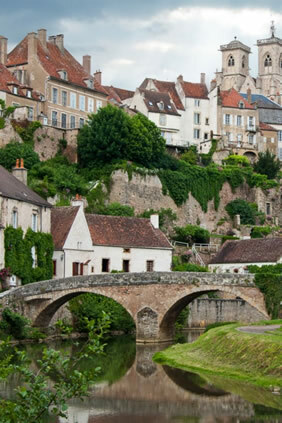 Our destination is Semur-en-Auxois, a 14th-century town built high on the cliffs formed by a loop in the Armancon river. You'll probably arrive in time to explore the weathered stone walls of this old fortress, and to wander its narrow cobblestone streets, tiny shops, and old watchtowers. For dinner, try the regional specialty of boeuf bourguignon. In the late afternoon, we'll gather for another wine tasting, featuring Burgundy's world-class vintages. While the region is justifiably known for its reds, the full-flavored Burgundy white wines may become a new favorite. Day 5 - Chocolat Anyone? Today's route is short, only about 25 miles, but with three hills, you may consider it the most challenging day of the trip. Don't be scared off by these hills: they're a good incentive to do some advance training, but even if you walked up each one, you'd have time left for sightseeing. And plenty of spots to do it. Experienced cyclists often rank this as their favorite biking day of the trip. 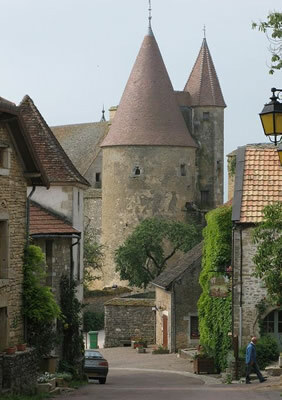 Our first village is Flavigny, a fortified town from the Middle Ages with the ruins of a seventh-century abbey. Lose yourself amongst the old ramparts and narrow lanes of this attractive town. Many Flavigny homes date from the Middle Ages, and have been recently restored. Pick up a locally-produced snack of anise candy at the outdoor market. And if the village looks familiar, it may be because you saw the movie Chocolat, which was filmed here. Then roll on to tiny Hauteroche — and a lunch to remember. For much of the French population, lunch rather than dinner is the big meal of the day, and every French town has at least one cafe where the locals come day after day for refueling. We walk into Chez Jeannette aka Cafe des Roches. For a ridiculously low price we get — well, a ridiculously large lunch, as well as a good-natured scolding from Jeannette for anyone who doesn't clean their plate. Toward the end of the day comes a popular option that nearly everyone takes: cycling to the source of the River Seine. In a quiet park maintained by the city of Paris, you can step across the river that is the heartbeat of France's capital. Our home for the night is a small lodge in the hamlet of St. Seine l'Abbaye, where we'll sleep just a few doors down from a 13th-century church. Today's official route is short, allowing plenty of time to explore the intriguing region between here and Gevrey-Chambertin. Toward the end of today's route, we cross through dramatic canyonland. A scenic option, sweeping through the forests to the south, takes you within easy walking distance of ancient menhirs, arrangements of stone set in place by primitive settlers. Then, on a larger road, we follow a narrow cliff-lined gorge that finally spills into Gevrey-Chambertin, a town famous for its red wine. The castle that once protected Gevrey-Chambertin remains still in family hands, and open to the public. We'll have time this afternoon to visit. If we're lucky, we'll get a tour from the owner herself, an elderly Frenchwoman of the old school who's still angry about the French Revolution. For that matter, she hasn't entirely forgiven the Roman invasion, either. It's an easy but scenic trip back to Beaune, through several more noted wine towns: Chambolle-Musigny, Vosne-Romanee, and Nuits St. George. Take time to look around each of these charming and ancient villages. Or loop up into the hills, and enjoy a picnic lunch in a small copse overlooking the vineyards. You'll arrive in Beaune early enough for sightseeing. 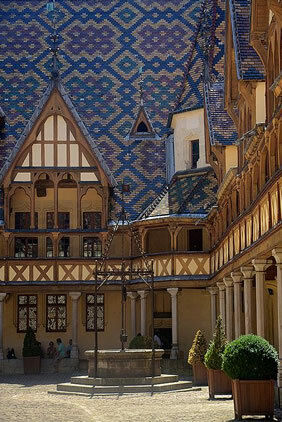 Don't miss the Hotel Dieu, Beaune's masterpiece of Burgundian architecture, whose colorfully tiled roof has graced the cover of many a guidebook. 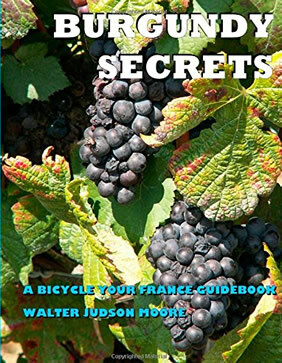 Those who aren't ready to turn in their cycling shorts yet can continue on to the chateau at Rochepot and more unspoilt villages with names long familiar to wine connoisseurs: St. Aubin, Gamay, Chassagne-Montrachet, Puligny-Montrachet, and Meursault. If you've got extra vacation time in Europe, we suggest you save it for after the trip, rather than before: Chances are, there will be other cyclists from this week's adventure who would like some company for a weekend in Paris. • Map, guidebook, and routes. This tour starts and ends in Beaune, just south of Dijon, France. Each bike trip officially starts at 6:00 p.m. on the starting date given on our schedule and trip overview. We'll have a reception and briefing, followed by dinner. For those who arrive early, we offer an optional walking tour of town (along with a chance to meet other early arrivals). Finally, when our guides' schedule allows, you can give your bike a test ride at 3:00. On arrival at the hotel, please look for our sign in the lobby giving details. This is the ideal introduction to bicycling in France, with days of 25 to 40 miles over roads that are largely flat to rolling. The terrain on this trip is as varied as it is colorful. To fully enjoy this trip, you should be able to comfortably bike 35 miles over rolling countryside. You can keep a leisurely pace, peppered with stops at chateaux and other attractions; for those who want longer cycling routes, we have lots of suggestions. How do I get there? What about taking a train in France? Our starting city, Beaune, is an easy train ride from Paris. There are a handful of local trains each day from Paris to Beaune, but it is faster is you take a high-speed train to Dijon or Lyon, then change to a local train to Beaune. From Paris Gare de Lyon station, the easiest connection is through Dijon, and takes about 3 hours altogether. From Paris CDG Airport, most connections are via Lyon, but it takes about an hour longer than via Dijon. This trip is probably too hard for me. Is it okay to come and ride in the van? From time to time, people come on a trip intending to cycle but end up riding in the van because of a minor injury, or because they discover the trip is harder than they expected. If you need to ride in the van, we're happy to accommodate you. However, this is a bike tour, not a van tour. The van's route and itinerary are set up to accommodate cyclists, not van passengers. You'll miss some of the sights, and some of the fun, if you're in the van. We offer trips in a variety of terrains; you should be able to find a bike trip on which you can complete each day's biking. (They're summarized on our active tours page.) You'll have a much better vacation if you select a trip that's right for your abilities. This probably isn't the best trip for the two of you. Three days have some hills that more experienced cyclists will enjoy, but might be discouraging for your partner. 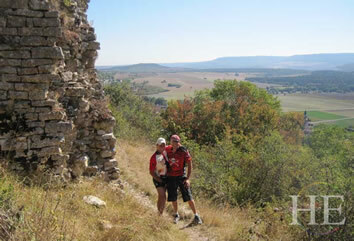 A perfect trip for couples with different levels of cycling experience is The Provencal. It includes two layover stops (when biking is optional, as we don’t change hotels), during which your partner can shop, hike, or go sightseeing, while you loop through the hilltop towns of the Luberons. On the other days of this trip, our “official” route from one hotel to the next is fairly short, but (as with all our bike trips) we’ve planned enjoyable longer options for those who want more biking. Another trip the two of you could enjoy are Valley of the Chateaux, in the chateau region of France. This trip also includes two layover stops, and because there's so much to see, we've kept the biking routes fairly short. Or try the 6-day Big Loire, Little Loir. What's the weather like in Burgundy? In May, June, and September, you can expect temperatures that are comfortably warm (high 60s and 70s). You'll be fine in shorts and short-sleeved shirt during the day; in the evenings you may sometimes need a light jacket. July and August are warmer, often into the 80s. Although prolonged rain is unlikely during this period, a day of rain is not unusual, but shouldn't interfere with your trip as long as you have a light waterproof top.